The Prepaid Expo is the only trade event today that focuses on the convergence of all prepaid products and services. From prepaid long distance and wireless top up, to gift cards and open loop payments, to digital payments, mobile finance, and loyalty programs, The Prepaid Expo is the must attend event for anyone involved in selling prepaid. The Prepaid Expo is one of the most significant events related to the prepaid industry. For ten years, this conference has been a great place for information exchange between the providers, distributors and retailers of prepaid wireless and value-added services. It supports the specific needs of the prepaid market, with regard to its growth and transition. 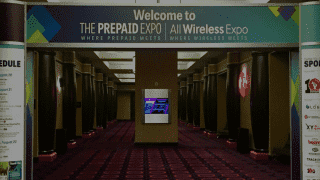 This year the Prepaid Expo, in conjunction with the All Wireless Expo was mainly focused on the wireless distribution chain, and all variations of prepaid and wireless services. There were some very valuable broad discussions about the market size, changing landscape and challenges that the prepaid card industry is facing. As well, questions about different technology adoption, like IoT or blockchain, and even the fight with fraud and money laundering. The prepaid market is growing. According to the Business Insider Report the US Prepaid Card Transaction Volume will reach $396 billions in 2022. It is changing (as demography, consumer behavior, and also technology) and the market is becoming more and more competitive. There are still companies trying to gain a position on the market. The dominant players are consolidating to maintain the position of leader. Softjourn—as a technology services provider focused on collaborating with prepaid card service providers—is interested in new technologies and their application to support prospects and/or clients and enhance their services. The conference was a great opportunity for us to meet with prepaid card service providers to learn about different points of view and needs, which is crucial to meet the growing demands in the market.